The Custard TV: Why The Haunting of Hill House is far more than cheap jump scares. Why The Haunting of Hill House is far more than cheap jump scares. In an era of dying horror, filled with meaningless jump-scares and revival after revival of franchise Slasher Films (Sorry, Halloween! 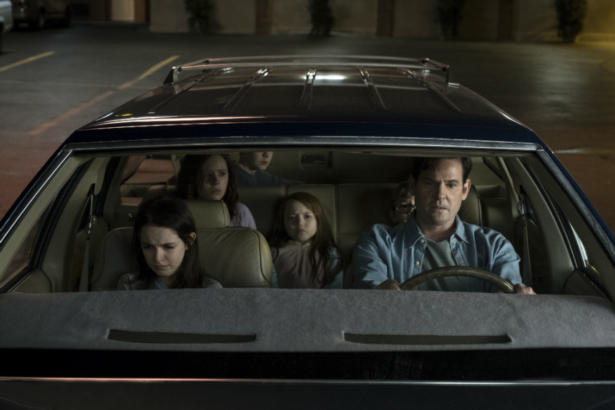 ), Netflix’s The Haunting of Hill House, loosely based on Shirley Jackson’s book of the same name offers up an unparalleled exploration of the woes of family relationships’ and the toll that life events can take on mental health. Previous direct adaptations of the book have been successful Robert Wise’s The Haunting (1963) and others not so much, Jan De Bont’s The Haunting (1999). 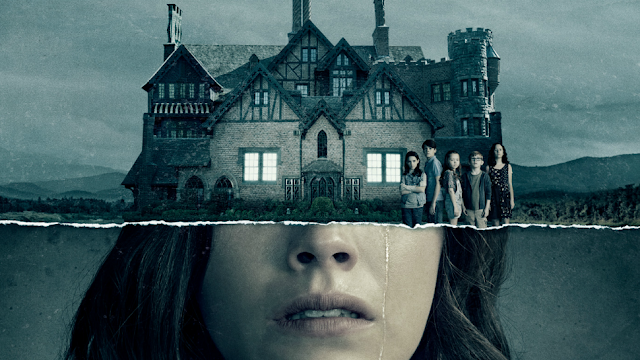 However, The Haunting of Hill House allows for the revisit to the classic haunted house storyline and re-invents the reality of the horror presented throughout, staying as loyal as possible to the classic Gothic Horror Novel but adapting it for a 2018 audience, creating a fantastically horrific story to be (Re) told. The Series takes an interesting stance on the ‘Ghosts’ or ‘Hauntings’ that are occurring. Each character is guilted by their very own ghost which is often the manifestation of their worst fears. For example; Nell’s constant harassment from the ghost she refers to as ‘The Bent Neck Lady’. This particular ghost is possibly the most prominent and important of the entire show, used as a scapegoat throughout the first five episodes for all the haunting that occur and the reason that Nell’s depression arose in her adulthood. However, in episode five when we learn the origin of ‘The Bent Neck Lady’ is in fact the embodiment of Nell’s suicide and the left-over guilt that never got the chance to express with her siblings; A recurring metaphor through the series as the only demons in life are the ones that you create for yourself. 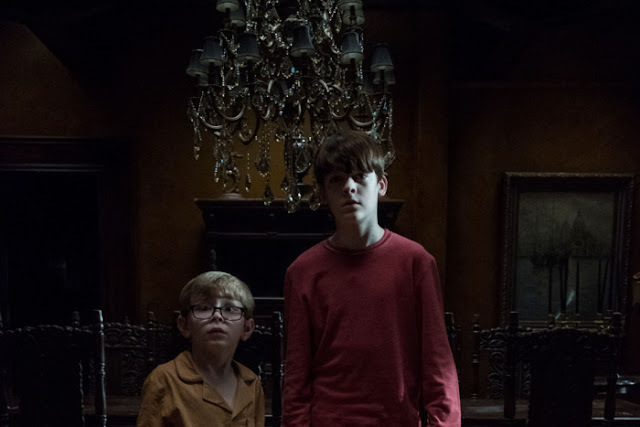 From this episode onwards, The Bent Neck Lady is shown to save the siblings from their own worst fears in the ‘Red Room’ in the final episode, and even to try to warn the family to stray from their visit to Hill House in the first place, allowing this “Ghost” to act as both hero and villain throughout the series. The Series also explores each sibling as a metaphor for the five stages of Grief, Denial (Steve) represented by the refusal to admit to the truth of his haunting childhood. Anger (Shirley) portrayed as an uptight, obsessive, perfectionist who cannot bear to let anything be out of place, Bargaining (Theo) who refuses to allow herself to open up to any sort of intimacy, and tries to rationalise anything so that she doesn’t have to admit the truth, Depression (Luke) Manifested through his constant battles with heroin addiction and theft to support this addiction and finally, acceptance (Nell) Acting as the wake-up call of sorts to the rest of the siblings, her death as the catalyst. A true, complex psychological Horror, with ghosts that resonate so well with any human capable of emotion, things that people deal with on a day to day basis; Guilt, shame, secrecy, Infidelity, Depression and addiction. An unparalleled intelligent take on the classic haunted house Setting, truly sets this series worlds apart from most modern horrors, with a set of characters that you become invested in from the first episode and empathetic themes throughout, flowing seamlessly from one episode to the next, a challenge to turn off. Moreover, the only horror to ever pull of a jump-scare, with the greatest jump-scare ever orchestrated in Episode eight, whilst the two remaining sisters (Theo and Shirley) Argue in the car before The bent neck lady appears from the back seat screaming. Director ‘Mike Flanagan’ took complete advantage of such an incredibly talented selection of actors, both sets of casts, young and old. All channelling such true, raw, magnetic emotion to tell the tear-jerking story of the Crain Family.